Sy is the managing partner of Rehabilitation & Vocational Consultants, LLC. He has been active in the field of vocational rehabilitation and workers' compensation case management for over 16 years. After earning a Bachelor of Science degree in Business Management and a Master of Science degree in Rehabilitation Counselor Education from University of Louisiana at Lafayette, Sy received his Life Care Planning certification training through the University of Florida - Intellicus. In his commitment to the profession, Sy served four terms on the Board of Directors of the Louisiana Association of Rehabilitation Professionals. He is a member of the International Association of Rehabilitation Professionals and the Coastal Conservation Association of Louisiana. As a respected authority in his field, Sy has provided expert testimony in the United States Department of Labor Court, Louisiana Workers' Compensation Court, and Louisiana District Court. Sy specializes in both Life Care Plans and Louisiana and Longshore & Harbor Workers' Compensation Act case management. He is also certified with the United States Department of Labor to provide vocational services in the areas of Longshore and Harbor Workers' Compensation Act, Federal Employee Compensation Act, and Defense Base Act files. An avid outdoorsman and family man, Sy enjoys fishing and spending time with his wife of 20 years, Laura Labbe Arceneaux, and their three children. Stony is a partner with Rehabilitation & Vocational Consultants, LLC. He is a fully licensed and certified Rehabilitation Counselor in Louisiana and has been employed in the private sector of vocational rehabilitation for the past sixteen years. Stony has provided vocational rehabilitation & case management services in State Workers' Compensation, Longshore & Harbor Workers' Compensation, Personal Injury & Department of Labor cases in most regions of the state of Louisiana. Stony is a Certified Life Care Planner, receiving his Life Care Planning certification training through the University of Florida. Stony is a Diplomate of the American Board of Vocational Experts. Stony is also a Social Security Vocational Expert and is certified with the United States Department of Labor/OWCP to provide vocational rehabilitation services. Stony has provided expert testimony in Louisiana Worker's Compensation Courts, Judicial District Courts, and Federal Court. He has been qualified as an expert in vocational rehabilitation and life care planning. He is a Licensed Rehabilitation Counselor Supervisor and an approved Licensed Rehabilitation Counselor Supervisor Trainer, as designated by the State of Louisiana-Licensed Professional Vocational Rehabilitation Counselor Board of Examiners. Stony currently serves on the Board of the International Association of Rehabilitation Professionals (IARP) as the Forensic Section Board Past Chair. Stony is a member of the International Association of Rehabilitation Professionals' state affiliate, IARP-Louisiana, and previously served on the IARP-Louisiana Board of Directors as Chapter President. Stony specializes in Vocational Expert Testimony and Life Care Planning, as well as Louisiana and Longshore & Harbor Workers' Compensation Act vocational rehabilitation & case management. Stony has been married to Ruth Landry of Lafayette for eighteen years and they have two children. Glenn has been in the field of Vocational Rehabilitation since 1993. 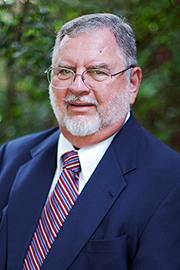 Glenn is a Licensed Rehabilitation Counselor, Certified Rehabilitation Counselor & Certified Life Care Planner receiving his education from University of Louisiana at Lafayette and University of Florida. 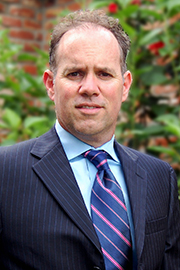 Mr. Guidry's specialty area is Louisiana State Workers' Compensation case management. Mr. Guidry is also certified with the United States Department Labor to provide vocational services in the area of Federal Employee Compensation Act. 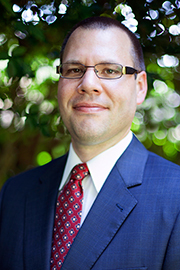 Glenn has provided expert testimony in Louisiana Workers' Compensation Court. Glenn served on the Board of Directors of the Louisiana Association of Rehabilitation Professionals. Glenn is a member of International Association of Rehabilitation Counselors, National Rehabilitation Association and Chi Sigma Iota. Glenn has been married for over 45 years to Martha Dupre Guidry, with whom he has 2 children. He loves to travel and loves spending time with his grandchildren.